Sholingur or CholaSimhapuram is anciently known as Thiru kadigai. This fact is evident from the sacred poems of the Third Thiruvanthathi of Peyalvar and from ThirumangaiAlvar. The name of this place is Kadigachalam as known from ancient legend. Kadigai is the name of a space of Time. Sholingur is famous for the temples at its outskirts – one of Sri Yoga Narasimha Swami located on the top of the hill Ghatikachala and another of Sri Yoga Anjaneyar Swami. Tirukkadikai is one of the 108 Divya Desams - sacred places in Hinduism. The temples are located on two hillocks. This sthalam is also named as "Kadigachalam". If we travel from Chennai, we have to first travel to Arakkonam. From their, by travelling about 25 Kms , we can reach this Sholingur. Lots of bus facilities are available from Arakkonam and lots of passenger trains stops at Sholingur station. We can also take the route to Ranipet from Chennai and reach the destination- 20 kilometer from Ranipet. The Malai Adi Vaaram (Bottom of the Mountain) of this temple is called "Konda Palayam". Konda means Hill and Palayam means a town. It was our long desire to visit this holy place, especially Mythili-my wife. During my tenure with Sundaram Finance, almost every month I visited this town but never had the opportunity to visit these temples. I confined myself to the work of meeting my valued customers there, specially the Bharathy group of companies, one of the largest bus operators in Tamilnadu. Raji Ravi, one of our very close family members stayed there for 48 days and climbed the peria Malai everyday to worship the Yoga Narasimhar to fulfill her vow and she requested us to visit during her stay, but we could not make it. More than an Year the visit was postponed due to multiple fracture suffered by Mythili forcing her to stay in house. The closure of the temple for the Kumbabishekam also stopped us to visit the abodes. My son Sathyan was very particular that we should visit the temples though Mythili was quite averse to the idea as she has to climb the huge hill by foot. But he was adamant and one fine morning he said that we are going that week end to SHOLINGUR. We have agreed as we didn’t want to discourage his keenness in taking us there. Parthan, my brother in law and his wife joined us besides Vidya (Sathyan wife) and their children Raghav and Varun, Vidya’s mother and our neighbors Janaki and Pushpa. We left Chennai on Saturday afternoon and reached Sholingur in the evening. We started climbing the hills, the abode of Yoga Anjaneyar. The steps were laid in a quite comfortable manner and we never felt difficulty in climbing the foot steps. A small temple at the top of the hills which is called Chinna Malai ( small hill) is devoted for Yoga Anjaneyar. Anjaneyar with four hands, having Changu and Chakram in his hands and in yoga stature, is very powerful and grants boons to his devotees. I am advised by my friends not to ever stay at Sholingur town for the night as it is infested with all sorts of infections. There is no good/decent accommodation available for over-night stay. I was confused regarding our stay for Saturday night. Destined to visit the shrines definitely, Mrs. Bhomma Sarathy of Thirumalai Trust came to our rescue and offered their guest house for the stay. Dinner was also arranged for all of us for the night. I have associated myself with the Thirumalai Trust for some time in the Year 2007 which gave me the acquaintance of Mrs. Bhooma and her family. On Sunday early morning we returned to Sholingur and started climbing the peria Malai, the abode of Yoga Narasimhar. We are told that the height of this hill is around 450 feet (some claims 700 feet) and have to climb 1035 steps, some of them very steep near the top of the hills. Though most of the members of the group are aged more than 50 Years, age never stood on our way to climb the steps by foot. DHOLY is available in which you are carried by two persons on a caned platform. It took us more than 90 minutes to reach the top of the hills and the temple. The founder of Bharathy Motors group-late Sri Mudaliyaandan Mudaliar was the Chairman and the President of the Panchayat Board in the early days of this shrine and who organized and implemented the major project of water facility at the top of the hills. The entire family has contributed for the renovations of this temple from time to time. They have influence in the management of this temple. Due to my acquaintance with the members of this family right from the days in Sundaram Finance (the group is the VERY IMPORTANT customer of Sundaram Finance for the last 4 decades), we have been escorted to the shrine by their man. Though there was a huge crowd of devotees, being a Sunday- we had a very good Darshan, being treated as VIPs. Once, there was a king by named "Hiranyan" did a strong tapas and got the varam in such a manner that he will not be killed by any human beings, day or night, land or air. He has become a menace to his people and ignored the existence of Indra. In due course, he declared himself as the supreme authorty and insisted upon his people to treat him as the supreme god and mention his name only and not the names of any other God. When Indra and other devas requested Narayanan to give his solution for this menace, he assutred them the salvation. When Hiranyan wife was pregnant, Narada Muni visited her and narrated the essence of Bhakthi and that only Narayanan can save the Universe from the clutches of the evils. Her son to be named as Prahladan, heard the praises of Lord Narayanan when he was in the womb of his mother. This has made him the staunch devotee of Lord Narayanan and ever since his birth, he was uttering the name of Narayana only, He was also reciting the moola manthram of Narayana- + Om Namo Narayana . Hiranyan tried ways and means to kill his son as Prahlada was opposed to mention hisfather’s name but the name of Narayana only. Every attempt was a failure as Narayana saved Prahlada. In the last when the asura asked his son- where is Narayana, son replied that he can be found everywhere and anywhere. Whether he can be found in this huge pillar-asura asked and reply was YES came spontaneously. He hit the pillar then and there he came as Narasimhan. Lord Narayana took the avathar of Narasimhan. He had the face of a lion ( Simham ) and the body of a human ( Nara ) He took the asura on his lap and killed with his finger nails. After the killing of this asura, Narasimhar couldn’t contain his anger and Lord Siva only came to his rescue.. To make Prahalatha happy, Yoga Narasimhar gave his seva for 1 Kadigai in Yoga Nilai. Because of this, the sthalam is also called as "Kadikasalam". The Thaayar of the Sthalam is Sri Amirtha Valli and she is found in a separate sannadhi. Sri Bhaktavatsala Perumal (Thakkan), Periyapiratiyar and Bhoomi piratiyar are found in Bhoga stage (Dhyanam stage) in the temple in Malai Adivaaram (foot hill). There are separate sannadhis for Andal, Alwars, Garuda Vagana Varadharaja Perumal, Erumbiyapa and Thottacharyaar. Both the God's in Periyamala and Chinnamala, Narasimar and Aajaneyar are in Santha Nilais (Yoga Stage). All Utsavams are conducted to Sri Bhakthavatsalar of the temple . Special Poojas for Thayaar on every friday are done. Simha Koshtakkruthi (Simhagra) first vimanam, found on the entrance of the Periya Malai. When entered through the entrance and going round it, we can see the thaayar sannadhi and after it, we can get dharshan of Sri Yoga Narasimhar. If we see the direction in which the Yoga Aanjaneyar is facing, we can see the Yoga Narasimhar's temple. This sthalam is also called as "Chola Lingapuram" since a chola king found a siva lingam and built a temple for it. Later, the shtalam is called as Cholasingapuram" and now as "Sholingapuram". Karikaala Cholan, when separating his Rajjyam (entire empire) into small districts, he named this place as "Kadigai Kottam". In this sthalam, pallava kings started numerous studying institutions and sculpturing centres. It is said that even if we sleep for 1 Kadigai in this sthalam, we will get Mukthi. That kind of nature and speciality, this Kshetram has got. On the order of Bhairava Munivar, the mountain in this Kshetram is said to grow up towards the sky. So, Indiran asked Balaraman to help him, thereby stopping the mountain to grow. And on his request, Balaramar stopped the growth of the mountain. This is also one of the said story about this sthalam. In this sthalam only, Thottacharyar (Peria Bangaru) who come along the family of Mudaliyaandan, was appointed as 74th Simmasanathipathi (leader) to spread the Vaishnavism by Erumbiyappa Varadhachari and Udayavar Ramanujar. In Panguni Uttiram, Hanumath Jayanthi festival is done in a very grand manner by the trustees of Erumbiyappa. Thottacharyar has written numerous poems and stories in Sanskrit. He is one of the Great bhaktas of Kanchi Sri Varadharajar. He used to attend and worship the Garuda Seva of Kanchi Varadhar which is done in Vaikasi Month. The steps from the foot hill to the mountain temple was constructed by Rajayya To get the seva of Narasimha avathar, Saptha Rishis (7 great Rishis) started their tapas here. Within 1 Kadigai, Narasimhar gave his seva as "Yoga Narasimhar". So this sthalam is called "Thirukkadigai". Kadigai represnts the fraction of time. Since the Perumal gave his seva to the rishis within a kadigai, this sthalam is called as "Thirukkadigai". When you are climbing the steps in the peria Malai, you will come across small mandapam for people to take rest for a while. Here one can see a sculpture depicting the Gajendra Motcham and Viswaroopa Darshan of Lord Narayana Narayana came to the rescue of Gajendra from the clutches of the Mudalai when he cried his name NARAYANA and he came less than in a fraction of a Kadigai. A guide to the entire human community is the Bhagavath Gita, which was explored and explained by none else other than Lord Krishna himself. Krishnavathar is considered one among the great Dasavathar. But, as the crown of all these Avathaars, to protect his Bhaktas Prahaladhan - Sriman Narayanan took the avathar of Sri Narasimhar who came out from the pillar (thoon) to perform vadham of Hiranyakashibu. He proved that he would recognize the bhakthi of his devoteesd and when they surrender themselves to him, he will come to their rescue within a kadigai time. Since Peyalvar worshipped this place by his pasuram, this is considered as one of the oldest Temple. Karikal Cholan of Chola dynasty divided his country into 48 divisions of which one is known as Kadigai Nadu. Kadiga is known as the place of Learning. Please note the name Kanchi Kadigai. Since Vedha and other rare arts are taught in this place,. this is known as Cholasimhapuram. It is known from the inscription that the temple is an ancient one. During Vijayanagara regime Erumbi is famous. Swami Dhoddachar is the main person for the developement of Sholinghur As explained in earlier paragraphs. In this Kali yugam, Naamams of Sri Vishnu (Naama Sangeerthanam - chanting of thiru Naamams) alone will protect us and will lead us in a right path. 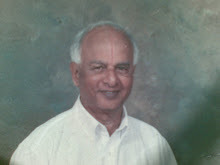 Krishnan Sevel Venkataraman is my name and I am aged 70 years. Very keen in Carnatic Music- love to acquire friends of all ages. I live permanently in Chennai. My wife Mythili Krishnan hails from another village near Thiruvayyaru-called Kalyanapauram. We are blessed with 2 sons and a daughter and all of them are well settled in their life. Our 6 grand children keeps us very busy. I can be contacted over the mobile phone 99400 95670 or landline 24617660 Our Village Melasevel is situated 16 kilometers away from Tirunelveli-on the way to Ambasamudram. We have three ancient temples and the deities are Navaneethakrishnan, Venogopalaswamy and Megalingeshwarar. We are maintaining a guest house for anyone visiting the village, free of any cost. They can stay in this guest house and visit other temples in and around- like Navathirupathy, Nanguneri and Thirukurungudi, Tiruchendur, Sivasailam and many other temples. Sholingur otherwise called as Gatikachala is near Walaja Station ( 23km ) However only a few trails stops there. So one can get down at Arakkonam Junction and from there go to Sholingur ( about 40 km ) Many busses or Taxi available at Arakonam. Regarding the Temple recently the Kumbabishekam was purformed and one can have the dharshan. One can stay at Admar Mutt and get the arrangement for Theerthaprasada. Some other Hotels are available ( for more neateness)there. it is better plan to go there in the evening stay there have the dharshan of Vayu devaru first ( temple door opens at 9am ) One has to claimb 400 steps. Then have the Theertha prasada at the mutt. After rest again later in the evening one can visit Narasimha swami temple .For this one has to climb 1300 steps. Temple closes at 6 PM. If there is not much pilgrims they may close around 5PM Pl ascertaining the TP time at the mutt and plan the dharsan viseversa. Posted in the service of Lord Venkatachala, Tirumala Tirupati. tHANK YOU VERY MUCH FOR YOUR GUIDANCE. IT HELPED ME A LOT TO KNOW MORE ABOUT THIS [LACE. MY FATHER, EX S.D.O.T. WANTED TO VISIT THIS PLACE BUT ON BEHALF I AM PLANNING TO VISIT. GOOD INFORMATIONS I GOT .